Promotion to the Premier League is how the Owls would dearly love to celebrate their 150th anniversary year. 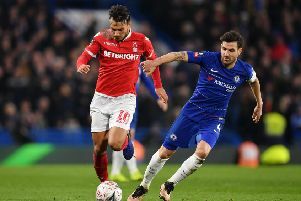 It is no secret that Championship glory is at the top of the club’s priority list and head coach Carlos Carvalhal has already intimated he will rotate his squad for Sunday’s FA Cup third round tie at Middlesbrough. Fringe players, including Vincent Sasso, Jose Semedo and Modou Sougou, could all be given run-outs. Joe Wildsmith, David Jones and Lucas Joao are also in contention to start, with Carvalhal expected to rest a number of senior players. But midfield playmaker Barry Bannan insists Wednesday will be taking the competition seriously. The Owls, beaten twice by Boro in the league last year, reached the fourth round of the FA Cup in the 2015/16 campaign before suffering a surprise away defeat to Shrewsbury. Scotland international Bannan told The Star: “Middlesbrough will be a tough game but we are looking forward to it. They are a Premier League team now but we played them last year and were unlucky if I remember rightly.